Alistair is a powerful demon who knew Dean when he was in Hell. At the end of each day, he would ask Dean if he wanted to make a deal. Dean could come off the rack, as long as he was willing to start torturing other souls. He seems to like torturing, as he tortured Ruby too. Alistair is eventually captured by Castiel and Uriel, but refuses to tell them anything and escapes. This demon is the one that is responsible for killing Mary and Jessica, as well as several other women over the years. Searching for young babies who have "special abilities", it attacks on the night they turn 6 months old, either to kill them or steal them. In Sam's case (possibly the others too) it drips some of its own blood into the baby's mouth, thereby linking them to it forever. Invariably, their mothers are killed in the fire it creates. Where it goes, it leaves a trail that can be followed - cattle deaths, electrical storms, temperature fluctuations. When it failed to kill/steal 6-month old Sam, it tried again exactly 22 years later, this time killing Jessica. It wanted to create an army - not necessarily an army of special children, but an army of demons. And it needed someone to open the gates to Hell, as it couldn't do it, thanks to a trap by Samuel Colt. By using the gun created by Samuel Colt, as well as having some help from the spirit of John Winchester, Dean and Sam manage to destroy the Yellow-Eyed Demon once and for all. It was revealed in Sin City that the Yellow-Eyed Demon's name is actually Azazel. John Winchester's use of the Sigil of Azazel in In My Time of Dying suggests that he was aware of the demon's true identity. This demon possessed several different people in order to kill everyone on flight 2485. It was eventually exorcised by Dean and Sam before it managed to cause another plane to crash. One of a group of demons who were in Pontiac, Illinois, this demon possessed a waitress from a local cafe. She tried to intimidate Dean and Sam, but was quickly put in her place when Dean reminded her that a much higher power had brought him back - a power she seemed scared of. She was destroyed by Sam, using his powers, rather than the knife or gun. Casey was a bartender at Trotter's Bar when she was possessed by one of the Black-Eyed Demons that was released when the Devil's Gate was opened. She encouraged the introduction of gambling and prostitution in the bar in Elizabethville, Ohio, bringing vice to the town. When trapped by a Devil's Trap, she explains to Dean about Lucifer and reveals the name of the Yellow-Eyed Demon to him. The demon inhabiting Father Gil had been her lover for centuries. They are both killed with the Colt by Sam. Robert Johnson wanted to become famous, so he summoned a demon and struck a deal - 10 years of fame in exchange for his soul. The demon hung around the crossroads and similar deals with several other people over the years. When Dean wanted to find a way to stop the demon, he too summoned it. He managed to trick the demon and trap it in a Devil's Trap - forcing the demon to cancel the deals it had made. When Sam is killed, Dean has no other options left. In desperation, he summons a demon from a crossroads - offering his soul for Sams life. The demon haggles with him, until she finally agrees to bring Sam back to life. However, instead of the usual 10 years the deal-maker is given, Dean is given just 1 year before the demon will come to claim his soul. 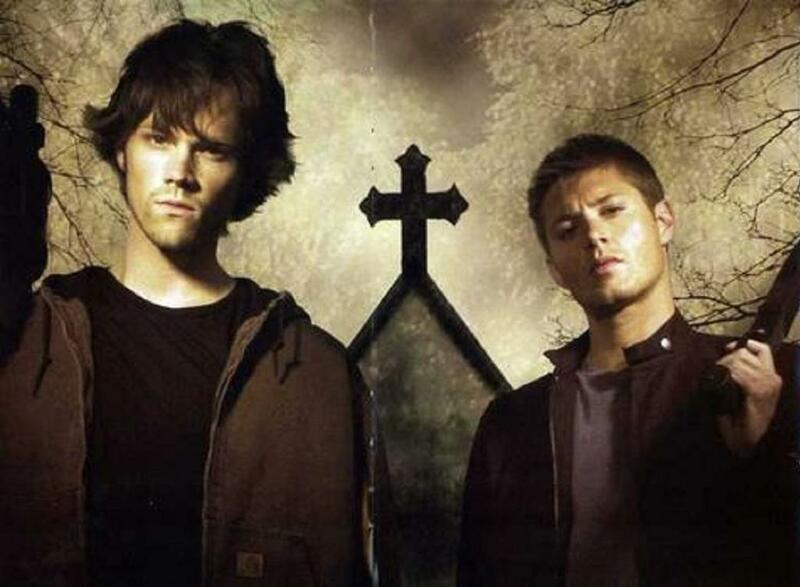 With the Colt returned to working order, Sam summons the Crossroads demon again in order to fight for Dean's life. When the demon reveals that it it someone higher up that holds the contract, Sam shoots her with the Colt, presumably destroying her. When the demon meets Sam, she confirms that she has already met Dean twice, indicating that despite the change in body, the Crossroads demon is the same one each time. This demon possessed the body of Duane Tanner and was sent by the Yellow-Eyed Demon to watch over Sam and see if he was immune to the virus that infected the town. Jesse was conceived by his mother while she was possessed by a demon. As a half-human, half-demon, he is potentially more powerful than either and is referred to by Castiel as the Anti-Christ. Although he is only just learning about his abilities, he was quickly able to learn how to turn an angel into an action figure and how to exorcise a demon. Scared of getting his adoptive parents killed, Jesse disappeared, possibly to Australia. Having taken over as one of the highest ranking demons since Azazel, Lilith has one main goal - to destroy Sam Winchester. She usually possesses the bodies of young girls, a useful way of gaining confidences. When Dean and Sam are captured by the FBI, Lilith sends hoardes of demons after them, eventually destroying the Sheriff's office where they were being held. Bela revealed to Dean that Lilith is the demon who holds not only his Crossroads contract, but all of them. When she was confronted by Sam and Dean, she possessed Ruby's body and tried to attack Sam. It is unclear what happened, but the demon was torn from Ruby's body. Lilith was responsible for breaking one of the 66 seals when she released the Witnesses. Her death was the final seal - when Sam used his powers to kill her, he released Lucifer. First encountered by Sam when he was heading to California, this demon possesses the body of a girl named Meg Masters. It pretends to be friends with Sam, all the while trying to get close enough to kill him and his family. When it is thrown from a window by the Daeva's it summoned, the body of Meg was broken badly enough that once the demon was finally exorcised, the young girl died. She had been aware of the demon controlling her all the time and claimed that the demon had been possessing her for a year. However, when the demon was exorcised, it wasn't destroyed, as the demon returned, inhabiting Sam's body and, using a binding link, made it harder for Dean and Bobby to exorcise it again. Eventually they succeeded and sent the demon back to Hell. Again. Meg returns in a new body and and forces a possessed Bobby to kill Dean. Bobby fights back and stabs himself with Meg's knife to destroy the demon, but Meg manages to escape once more. One of many forms of the Grim Reaper, this one had been bound by Sue Ann LeGrange when her husband was dying. Desperate to save him, she found a method of controlling the reaper, which she then used as a way of a) allowing her husband to "heal" people and b) to murder those who she believed to be evil. As soon as the reaper was freed, it killed Sue Ann. Another form of reaper, Tess came to Dean while he was in a coma in hospital. She gave him two choices - he could either go with her and accept his death, or he could stay earth bound and risk becoming a violent spirit. She seemed genuinely concerned about him and although she claimed to be unable to bring him back to life, when the Demon possessed her, he/she managed to bring Dean back. Back around the time of the Plague (Mid 14th Century), Ruby was a witch who ended up selling her soul to the Demon now known as Tammi. When she died, like others who have done the same thing, Ruby ended up in Hell. However, unlike other demons, she did not lose all her humanity. She can still remember what it was like to be human. It is this, in part at least, that is causing her to help Dean and Sam. She assisted Bobby with the rebuilding of the Colt and has a knife that can destroy demons in a similar way to the Colt. When tracking down Lilith with Dean and Sam, her body became possessed by Lilith, causing Ruby to go somewhere "far far away". Ruby's body was killed but she managed to climb out of Hell and joined forces with Sam in order to train him to defeat Lilith. Eventually it is revealed that Ruby has been working with Lilith all this time to free Lucifer. She is killed by Dean with her own knife. Samhain is the origin of the Halloween legends. His lover waited 600 years to bring him back, using her brother as the vessel for him. Almost as soon as he was summoned, he killed his lover and went on his rampage - hoping to raise zombies and ghosts to follow him. His body was shot by the Winchesters, and once Sam used his newfound psychic abilities to exorcise the demon, the vessel died. Samhain is now back in Hell. Released from the pits of Hell when the Devil's Gate was opened, these seven demons, personifying the 7 Deadly Sins, inhabited seven innocent humans. They caused death by pushing their particular sin on humans. All seven were exorcised but only two of the human hosts survived. Posing as a local woman, Tammi was a demon who preyed on human witches, encouraging them to move towards black magic and offering their souls to "demonic forces". Tammi and Ruby have a history together - when Ruby was a human, she too gave her soul to Tammi, resulting in her transformation into a demon. Tammi was killed by Dean using Ruby's knife. She appeared stronger than regular demons, able to stop a bullet from the Colt and pin both Dean and Sam to the wall. Despite having encountered the Winchester less often, this demon seems to be more "in charge" than it's "sister". When it receives the Colt, it shoots its sister to test whether the gun is real or not. It inhabits a male body, but the human's name is unknown. The demon was killed by Dean in order to save Sam's life, but Dean is aware that he also killed the human inside.